95% of Django projects should use ModelForms. 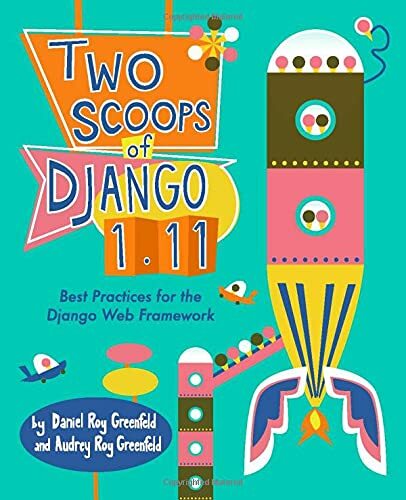 91% of all Django projects use ModelForms. 80% of ModelForms require trivial logic. 20% of ModelForms require complicated logic. Important Disclaimer: These numbers were cooked out of thin air by yours truly. I determined them with zero research, they carry absolutely no scientific weight, and shouldn't be used in any serious argument. They are wholly my opinion, which is good or bad depending on your point of view and your own opinion of my opinions. 24.3% of Python developers doing DevOps think they could have launched a PaaS (aka Heroku clone) before it got crowded. 46.3% of Python developers doing DevOps spend all their time writing Chef/Puppet scripts and yet still claim to be Python developers. 14% of Python developers are worried about so much of the backend being done in Ruby, but don't quite trust Salt or Ansible enough to use them. 54% of Python developers are just happy that there are many options now and don't care about the internal machinery that much. 77% of Python Developers prefer VirtualEnv. 13% of Python Developers prefer Buildout. Many of them don't say this out loud. 7% of Python developers rolled their own solution and wish they could switch over. 3% of Python developers rolled their own solution and are fiendishly delighted with how they have guaranteed their own job security forever. I know who some of you are and I can say with some confidence that when the Zombie apocalypse happens, no one is going to invite you into their fortified compounds. We hate you that much. 70% of python developers prefer non-XML templates. 25% of python developers prefer XML templates. 5% of python developers wonder why we don't just use the str.format() method and be done with it. I sometimes get asked how to best optimize a Django site. My answer is 'optimize your queries and use caching'. On the other hand, there are those who disagree with me and start switching out Django internals before doing anything silly like looking at I/O. My bet is this same thing happens with other frameworks such as Flask and Pyramid. 20% developers argue switching template languages. 80% developers argue using caching and load balancing. 100% Django/Pyramid/Flask/etc core developers argue using caching and load balancing. Of all the made up statistics in this blog post, I suspect this is the one closest to the truth of things. Alright, let's conclude this article with some statistics I cooked up in regards to various Python related topics. 95% of developers trying to create reusable Python packages have no freaking idea as to whether or not we should be using setuptools, distribute, or distribute2 and wish there was a clear explanation on the front page of PyPI as to what we should be using and how. Something like a link to the Python Packaging User Guide might be nice! 99% of us get frustrated with trying to reconcile the pronunciations of PyPI with PyPy. 97.2% of our family and friends have no idea what Two Scoops of Django is about. 62% of Python developers are wondering if Tulip will make their projects more web scale. 49% of Twisted developers wish that Python had accepted their standard instead of PEP-8. 42% of Python developers think Flask/Pyramid have awesome names that don't get mispronounced the same way Django does. 28% of Python developers wish they could find a way to get some SciPy into their projects. 23.6% of us get web.py and web2py confused with each other. No chart? Getting this one to look meaningful was turning into a herculean effort. I invite others to render this data into something that look attractive and doesn't lose meaning. Come up with something impressive and I'll put it into a follow-up blog post. Note: This is a reprint and update of an earlier article. Update: Added link to the Python Packaging User Guide.